Check out that fiery red hair! 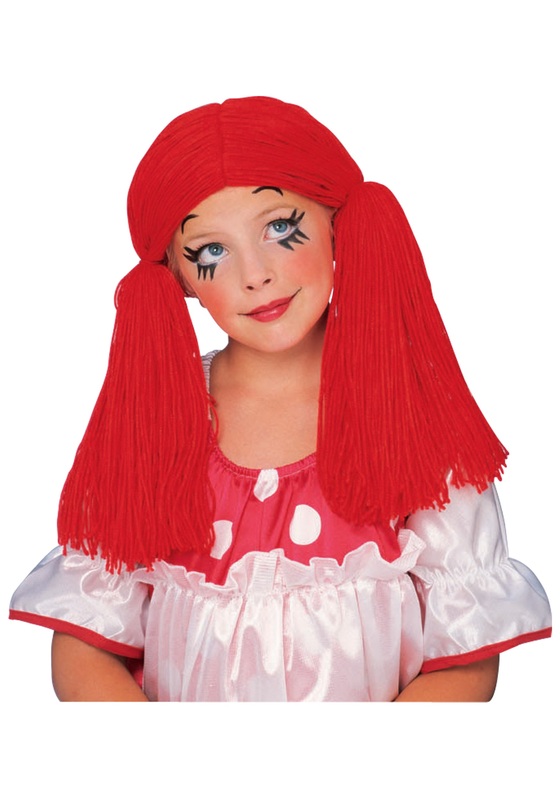 The soft wig is made from a yarn-like red material and has pigtails on both sides. It is parted in the middle. The wig slips on to the head with elastic to hold it in place. 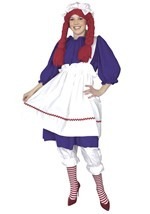 Check out our Goth Raggedy Doll wig!